Desert Home Guardian provides Fountain Hills home watch services. Protecting you from the uninsured, unreliable, unscrupulous and untrained. 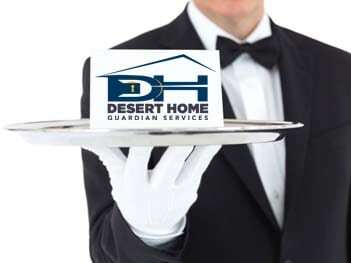 At Desert Home Guardian Services (DHGS), we are an appointed guardian that is committed to protecting the value of our customer’s home and enabling the absence of stress when a home owner is physically away from their Arizona residence. We serve the desert communities in Fountain Hills, Scottsdale, Paradise Valley, Phoenix and Cave Creek. DHGS is insured, bonded, and accredited by the National Home Watch Association (NHWA) and Better Business Bureau. NHWA performs background checks on all their members and validates compliance with their ‘Gold Standard’. Two services are available, Home Watch and Concierge. The Home Watch service checks the exterior and interior of the home, on each visit, looking for obvious signs of issues, such as leaks, mold, pests, and vandalism. If an issue is identified, such as a drain leak, broken pool pump, cracked window, or damage from a storm, we work with the home owner to schedule services to address the issue. If concierge services are needed because you are a busy executive, stay at home mom, senior, or part time resident, we are your hands and feet. We run errands, manage repairs, arrange auto services, prepare home for arrival and departure, provide vacation rental assistance, walk pets and much more. So, what do we provide? Value! Insurance companies are starting to have clauses in their policies regarding absentee periods of 30 days or more. Failure to have a professional examine and document the condition of your home, at least every 14 days, may result in a denied claim. 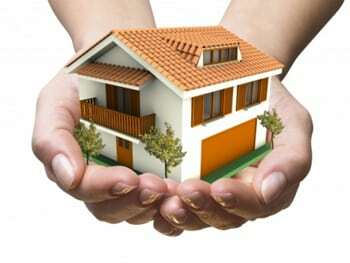 Our company uses business management software provided by Home Watch IT. The reports we send you are all professionally produced by us, using software that captures the GPS coordinates as well as the time and date that corresponds to the report’s creation. You have infallible evidence that your home was visited should you ever have an insurance claim or other need. Some insurance companies may even provide a discount if you have a home watch company checking on your residence. Contact your insurance company for more information.